Bitcoin has recently gained limelight owing to the negative publicity offered through the WannaCry ransom ware attack. Many came to know about the very existence of cryptocurrencies like Bitcoins only after this incident. But the fact is that Bitcoins and other cryptocurrencies, which are destined to change the future global economy was in existence ever since 2008 and sizeable amount of transactions are being done through it every day. Let us have an in-depth look into the technology and mode of functioning of cryptocurrencies. The technology behind cryptocurrencies are relatively new and have a complex structure. But I will try to make it as simple as possible. What is cryptocurrency and why do we need it ? As you all know , currency systems followed globally are sponsored by and tied to respective countries and have inherent problems when transacted globally. We have seen the value of currencies sponsored by mighty countries sore up day by day and on the other hand poor players loose their currency value day by day with out any obvious reasons to point out. Developing countries like India are also a victim of this phenomenon. On the other hand cryptocurrencies are globally accepted and are not bound to any geographical distribution or demographies. The biggest challenge in establishing a global digital currency is, preventing double spending. Double spending is referred to the spending of the same amount more than once by any entity. In other forms of currencies cash is either physically or digitally transacted and monitored through a central ledger and account maintained in a central server. This trust based system has sufficient checks to prevent double spending. But in case of global cryptocurrencies this system will not work as there is no globally accepted central entity to monitor and regularise the transactions. cryptocurrencies use a specialised technology called Block Chain to prevent the possibility of double spending. Block Chain is an encrypted and decentralised ledger of transactions, available for each and every peer in the network. Each confirmed transaction gets put into a block and is added as a chain to the previous block – and forms a block chain. A confirmed block in the chain cannot be modified or deleted and is solid like written in rock. This block chain which is available for reference to any entity in the network helps to create absolute consensus on all the transactions taking place in the network. In November 2008, Sakoshi Nakamoto, the person designated as the man behind the development of cryptocurrencies, send the first communication titled “Bitcoin: A peer-to-peer Electronic cash system”, to a group of people. 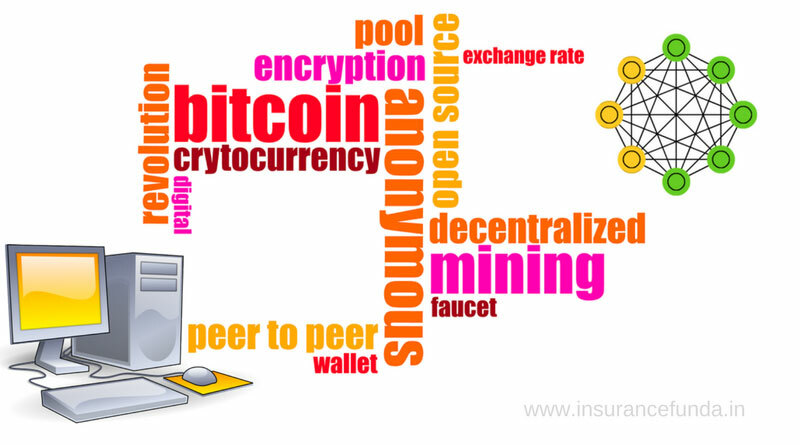 In January 2009, the bitcoin network came into existence with the release of the first bitcoin client and the issuance of the first bitcoins. One of the early adopter of Bitcoin was the computer retailer Dell. In addition to Dell, many other companies started accepting Bitcoins including airBaltic leading airline company. This trend slowly progressed and now Bitcoin is accepted globally as a world currencies except some countries like Iceland, Bolivia, Ecuador and Vietnam. Bitcoins system is designed in such a way that new coins can be created by any body in the network by competing to solve certain complex mathematical puzzles using computers and the process is called Bitcoin Mining. Miners use special software to solve math problems and are issued special incentives as certain number of bitcoins in exchange. The maximum number of coins that can be mined in a particular period is fixed in a predefined manner. Further, in every four years, the number of bitcoins released relative to the previous cycle get cut in half as does the reward for miners for discovering new blocks. Reward for mining a new block of bitcoin is 2.5 bitcoins as of now. Thus mining provides a smart way to issue new bitcoins. Miners have an additional role of securing the data stored in the block chain. It is interesting to know how it happens. When a block of transaction is created, miners put it through a mathematical process. This the result of the process is a seemingly random sequence of letters and numbers known as hash. This hash is stored at the end of the block newly created, at that point of time. The hash created at any point of time is dependant on many factors including the hash of the last block stored in the blockchain and transactions put in that block etc. Because each block’s hash is prepared using the hash of the previous block, it acts as a security seal and confirms that the block is a legitimate one. So the miners are sealing the block using complex mathematical calculations and they are competing with each other to create a hash to seal each and every block of information added in the blockchain. If a miner succeeds in sealing the block using a hash created by him he is entitled for an incentive in the form of bitcoins and the process is known as mining. Buying and selling of bitcoins have become an easy process as so many vendors have started providing online buying and selling facility in India. One thing you should make sure while doing bitcoin transaction is that you are doing it through a trusted source. Let us have a look at the leading bit coin buyers and sellers in India. UnoCoin is the market leader in the bitcoin market in India. Unocoin serves as a company to buy or sell bitcoins online. It also functions as an online wallet which can be used to pay for other services like BookMyShow and the like. They generally charge a fee at the rate of 1%. Unocoin is available on web, android and ios as well. As there is a possibility of your hard-earned bitcoins getting stolen you have to be extra cautious while storing bit coins. As there is no central authority to protect you from possible frauds and thefts, you will have to write of the bitcoins lost for ever. Bitcoins can be stored in online as well as offline wallets. Many people recommend to store bitcoins in offline wallets to reduce the chances of hacking and getting stolen. A desktop based wallet is considered the best option but you can store it using mobile applications as well. For desk tops you can use Electrum where as Mycelium works better in android environment. The future of bitcoin and other cryptocurrencies look very promising in India. Usage of bitcoin in India is legal under existing laws. But RBI has cautioned cryptocurrency users to be vigilant against possible frauds. In India cryptocurrencies are treated as if it is a commodity which can be purchased online.